The first notable snow of the season fell Saturday throughout Fulton County. Around 1-3 inches of snow was reported. 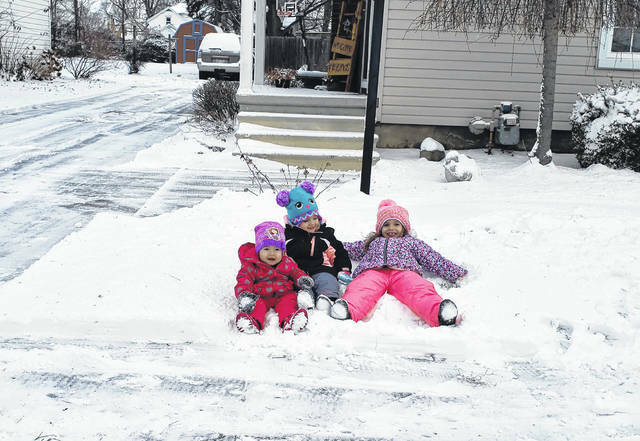 Above, Julianne, Claudia and Kinsley Schmucker enjoy the snow in Wauseon.